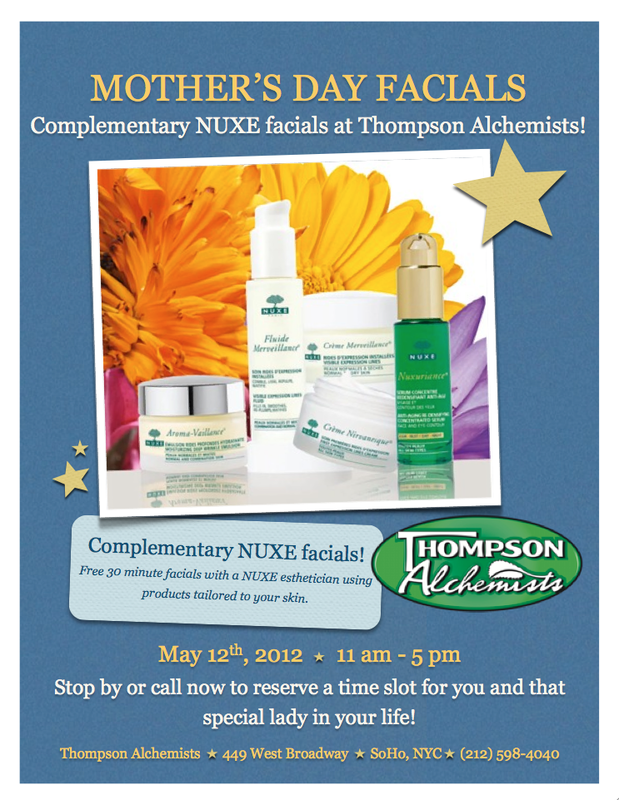 Thompson Alchemists and NUXE skincare are maintaining our yearly tradition of honoring the special lady in your life. Come in between NOON to 5 pm on Saturday, May 2nd and receive a complimentary NUXE facial! Whether you stop by solo or bring your momma or friend, it’s bound to be a great time! Call us if you would like us to reserve a time slot especially for you.